How was the arrest made? 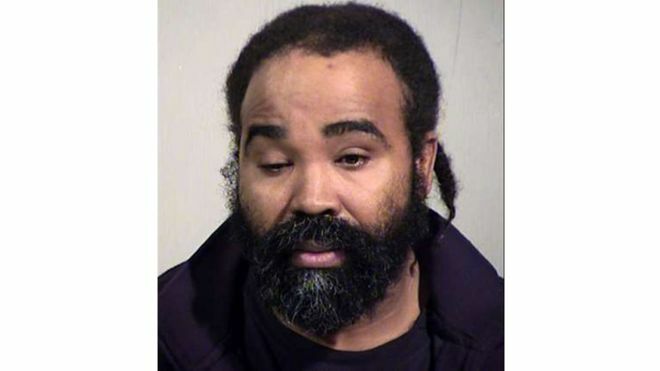 Phoenix police chief Jeri Williams said Mr Sutherland was identified through “good old-fashioned police work”. After the birth, an investigation was launched into sexual assault because the woman’s condition renders her unable to give consent. Mr Sutherland submitted a DNA sample under a court order. A test showed his DNA positively matched with the child. He has been charged with one count of sexual assault and one count of abusing a vulnerable adult. Police are also investigating whether Mr Sutherland has assaulted any other patients. What have her family said? A lawyer for the woman’s family, John Michaels, said they were aware of Mr Sutherland’s arrest but had no comment. The patient’s family have described her as “a beloved daughter” with “significant intellectual disabilities” caused by seizures in childhood. According to medical records presented to an Arizona court, a doctor gave a check-up to the woman 37 weeks before she gave birth and found no major changes to her health. Mr Sutherland is a licensed practical nurse and had worked at Hacienda Healthcare clinic since 2011, authorities said. At the time of the assault he had been responsible for care of the woman. On Wednesday, he appeared in court and was released on a cash-only $500,000 (£382,588) bond. His lawyer David Gregan described Mr Sutherland as a family man with young children who has lived in Arizona since 1993. “There’s no direct evidence that Mr Sutherland has committed these acts,” Mr Gregan told reporters. How has the care facility responded? In a statement, Hacienda Healthcare said it was “troubled beyond words” by the news. The firm said it had given Mr Sutherland “an extensive background check” before starting at the clinic, and fired him as soon as its leadership team learned of the arrest. Its chief executive has resigned over the incident. Earlier this week the clinic said a doctor who led the woman’s care had resigned, and another was suspended.